For the discerning homeowner, it is not enough for a roofing material to be beautiful, as it should also be durable. While there are numerous options advertised as strong and long-lasting, only a select few can measure up to the toughness of Owens Corning® TruDefinition® WeatherGuard® HP Shingles. Let Kroll Construction, one of the trusted roofing companies in Michigan, explain the benefits of this excellent roofing choice. When it comes to impact resistance testing for shingles, the Underwriters Laboratories (UL) has one of the most stringent criteria in the industry. We are proud to say that our TruDefinition WeatherGuard HP Shingles received its highest rating – UL 2218, Class 4. This means that these shingles can withstand the onslaught of the toughest elements without cracking. They also feature TruBond® sealant that prevents blow offs even in the strongest winds. 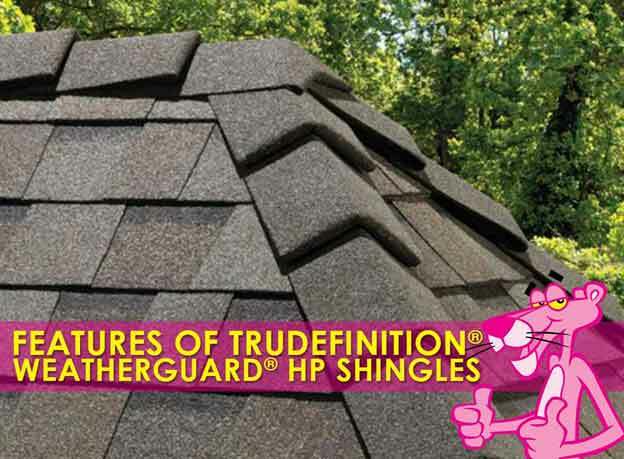 TruDefinition WeatherGuard HP Shingles are designed to add flair and dimension to any roof. They come in trendy shades with bold and vibrant contrast to make your home stand out. They also have complementing shadow lines that offer greater depth for a dramatic effect. For unmatched weather resistance, you can expect your new roofing in Michigan to provide your home with long-lasting curb appeal. Apart from this roofing material’s topnotch durability, it is also easy to handle and install. This is thanks to its ability to resist marking and scuffing during hot-weather installations. Your roofing project is not complete without warranties. You need to make sure that your investment is protected from manufacturing defects and subpar job. When you choose TruDefinition WeatherGuard HP Shingles, you can enjoy a lifetime limited guarantee for as long as you own your home. They also come with wind and algae resistance warranty. Give your home lasting curb appeal and protection with this roofing solution. As one of the premier roofing contractors in Michigan, we highly recommend this product for its outstanding impact and weather resistance. Call us today at (888) 338-6340 to get start your roof replacement project.